A caravan of migrants traveling through Central America arrived at the California-Mexico border Sunday to begin the legal process of seeking asylum in the United States. Seeking asylum is a complicated procedure that starts and ends with United States Customs and Immigration Services (USCIS). Seeking asylum means someone is asking for political protection from another country because they cannot return to their own country. An asylum-seeker must prove they faced persecution in their home country due to race, religion, nationality, membership in a particular social group or political opinions. What is the difference between a refugee and asylum-seeker? The only difference is location. A person seeks asylum if they are already in the United States or at a port of entry, whereas a refugee will file before entering the U.S. It can be a years-long process because of the Department of Homeland Security's (DHS) backlogged system. An applicant has to fill out an I-589 within a year of arriving in the U.S. The I-589 requires details on reasons for seeking asylum, thorough explanations of past criminal convictions, and family and background information. Once the application is received, an asylum officer will order background checks and fingerprinting. The applicant then schedules an interview with an officer to review the I-589. The applicant is allowed an interpreter and legal representation "at no cost to the U.S. government." Only after the interview will the officer determine asylum eligibility and refer the application to an immigration court hearing. An immigration judge then grants or denies asylum. How many asylum cases does the U.S. process each year? 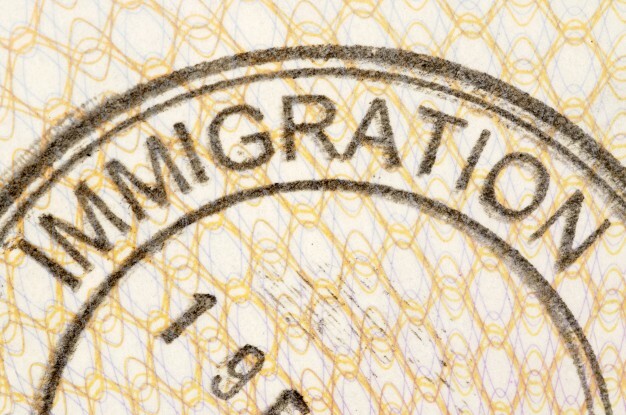 According to DHS, the USCIS completes an overwhelming number of asylum screenings each year. The number of cases jumped from 5,100 in 2008 to more than250,000 cases in 2017. How many cases will be granted asylum? The U.S. granted 20,455 individuals asylum in 2016, according to the Yearbook of Immigration Statistics of the same year. More than 25% of approved applicants, or 5,611 individuals, were from the Northern Triangle countries — Honduras, Guatemala and El Salvador. What rights does someone with asylum status have? An applicant must wait 150 days to apply for employment, but once approved, is immediately qualified to work. The person may petition to bring family members to the United States. The applicant can apply for citizenship five years after receiving asylum.